We intoduce a mod that adds several new weapons and monsters to your Minecraft, based on ninjas. Moreover adds 7 new mobs or rather ninjas, with their weapons or abilities. We can buy the services of one of these types of ninja offering iron. We also find a boss who will be located in new structures generated by the mod, but be carefull! He’s hard!! 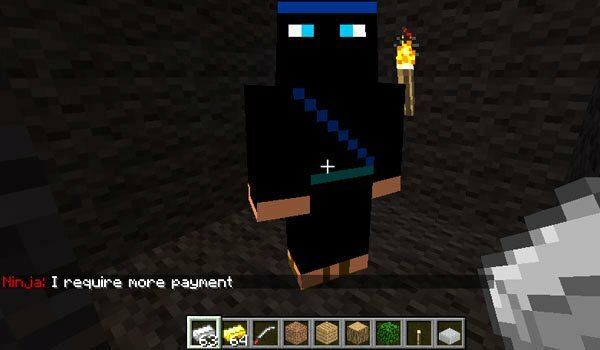 How to install Ninjas Mod for Minecraft 1.5.2? The ninjas come to live in Minecraft!